Join us on Easter Sunday as we celebrate Jesus' resurrection. Easter changed everything. Jesus’ empty tomb is a window into a new and lasting hope beyond death. It’s an unshakeable hope in a happy-ever-after that won’t end. It’s a hope that outlasts the unexpected setbacks of life because it goes beyond life. 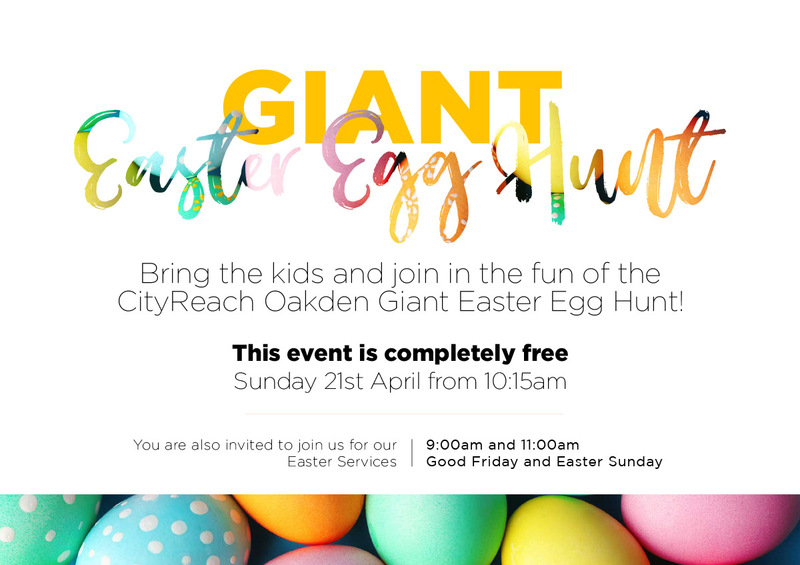 We invite you to join us at CityReach Baptist Church (on the Cedar College campus) for our Easter Sunday services on Sunday April 21, at 9am or 11am. This is an exciting morning for the whole family, with a time of celebration as we remember the real meaning of Easter. 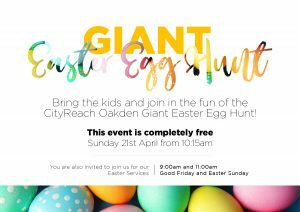 There’s a special children’s program available during the services, as well as a free giant Easter egg hunt between the two services (from 10:15am – 10:45am).